California Redwoods (Sequoia sempervirens) also known as the Coastal Redwoods, come from the Cypress family and are truly ancient giants that once spanned the Earth. Today, they are only found in a narrow 450 mile long strip strip along the coast of California and part of Oregon. This specific location is due to the Redwood’s reliance on coastal fog that provides the increased moisture levels that nourishes these giants. All of this moisture allows a Redwood in just the span of fifty years to grow from a tiny seed to over 100 feet tall. Originating more than 20 million years ago, there are still some California Redwoods alive today that that are over 2,000 years old. The largest known Redwood is named Hyperion and is taller than the Statue of Liberty at 379.3 feet tall. Besides their shear size Coastal Redwoods have several features that make them resilient enough to stand the tests of time. One adaptation is high tannin levels which makes the trees more resistant to environmental hazards such as disease and insects. Another is their thick bark which can be up to a foot thick and which will char before burning, creating a ablative armor around the tree. There are some trees who’s inner bark shows that they have survived forest fires from 500 years ago and still thrive today. This resiliency to fire was also credited to helping stop the 1906 San Francisco Fire. Firefighters noticed the conflagration ceased to spread once it reached neighborhoods where buildings were constructed with Redwood timbers. 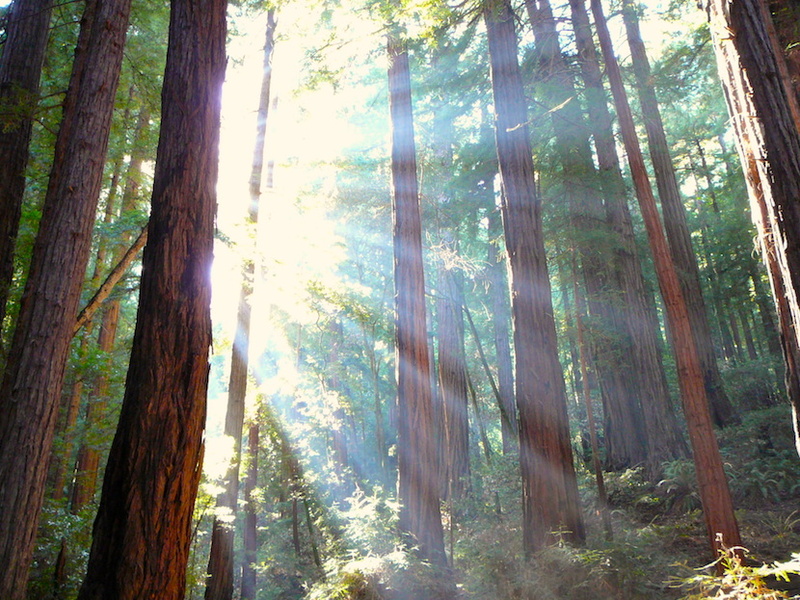 California Redwoods are truly one of nature’s wonders and need to be seen to be believed. These trees make up “the” most beautiful forest I have ever been in! 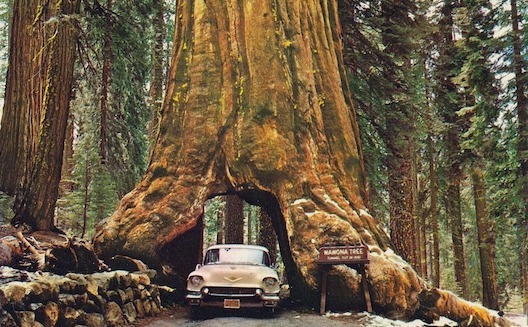 Their southern relatives, the sequoia’s and the next great forest! Thank you for this little snippet that brought back a wonderful memory for me!